Investigations have involved assessing feeding behaviour and monitoring activity patterns. The impact of management on feeding behaviour has been assessed by both staff and students specialising in nutrition and behaviour. The horse is naturally a 'trickle feeder' and adopting meal times as part of their feeding regimen may cause health and welfare problems. To address this issue staff at the Equestrian Centre designed a feed container from which the horses could access small amounts of their rations on a continuous basis. This 'slow feeder' was tested by a postgraduate researcher and found to relieve some of the anxiety that sometimes surrounds meal times. The horses are housed individually at the Equestrian Centre in traditional loose boxes, American barn-style housing and crew yards, as well as regularly being turned out on grassland. 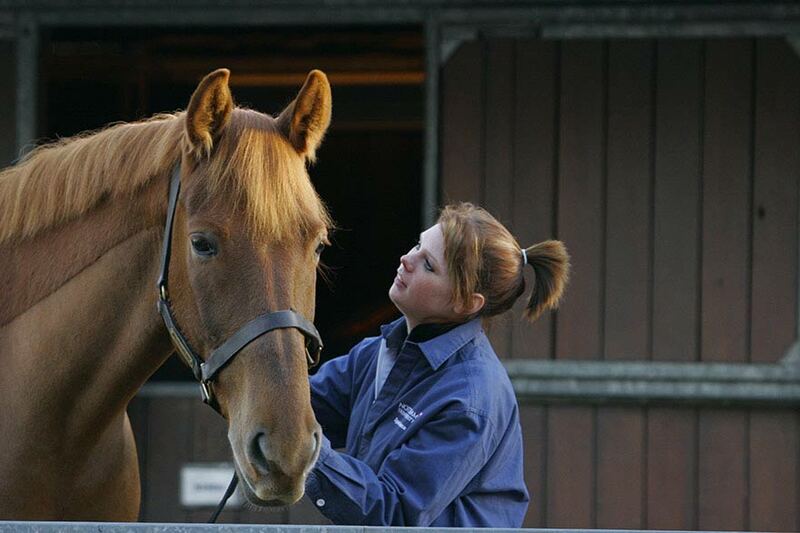 The effect of housing type on activity patterns during turnout was monitored using GPS technology (Garmin Forerunner 305) with findings suggesting that horses catch-up on their activity after periods of restricted movement. However, they do not expend unnecessary energy even then and to encourage increased movement of horses when turned out a system of tracks have been devised in one of the grazing areas at the Equestrian Centre.